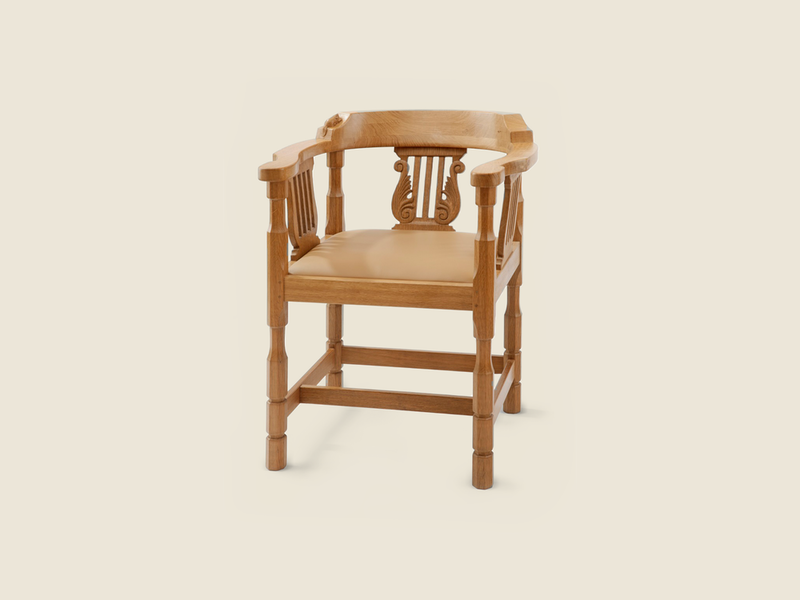 This Monks chair in “medium fume” English oak has two carved octagonal legs at the front and lyre inserts. It is not only extremely decorative but also very comfortable with a generous sized seat set on a webbed frame and high density air filled foam and shown here upholstered with "Alpacat" leather. We offer a choice of "Alpaca", "Burgundy" or "Forest Green" leather. You may chose from swatches of a wide variety of different leather colours as an optional extra, or you may supply a fabric.